Flyers are already waiting hours to get through airport security. And now here comes Memorial Day. The Friday before the long weekend is the fourth busiest day of the year for air travel. Last year, 2.25 million passengers went through airport security that day, and passenger volume is expected to be up this summer. "If we're having long wait times processing early spring demand, then we expect late spring/early summer to be even worse," said John Heimlich, chief economist for Airlines For America, the industry's trade group. He said Thursdays and Fridays in the early summer are always among the busier days of the year for air travel. Earlier this month, Chicago's two airports suggested to passengers that they should arrive at least three hours before a flight this summer in order to clear the TSA security check points. Heimlich is worried those kinds of lines could become more common. "It's not just volume issue. In summer you get folks who don't fly too often, may not be as screening ready," he said. A record 222 million passengers went through airport security in June, July and August last year, up 4.4% from 2014, according to the trade group. This year it's projecting a new record of 231 million. But the airlines are worried that passengers could soon start avoiding air travel if the TSA problems are not addressed, especially for shorter flights. "If it starts to be perceived as a chronic and structural problem, then certainly it could deter demand for air travel," Heimlich said. 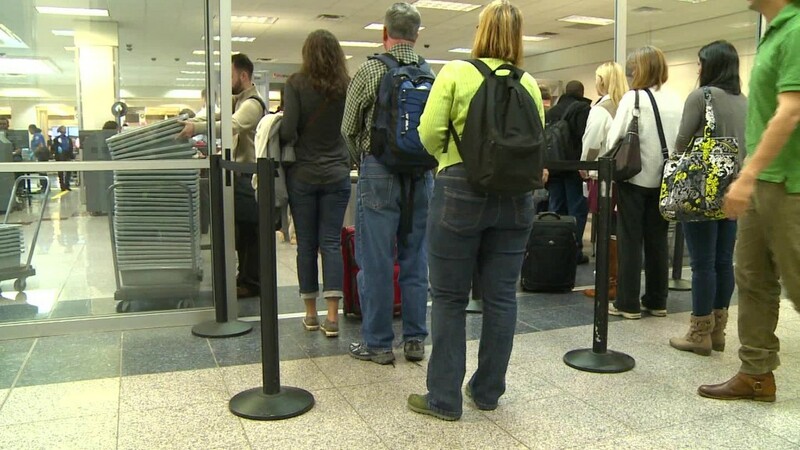 TSA officials say they're scrambling to add additional staff for airport checkpoints. But the increased volume of flyers, coupled with high turnover among TSA staff and lower staffing levels to begin with, things aren't expected to get better any time soon. The TSA recommends that passengers arrive two hours early for most domestic flights and three hours for international travel.